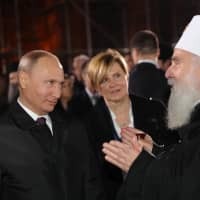 BELGRADE - Russian President Vladimir Putin denounced Kosovo’s creation of an army as destabilizing for the Balkans during a visit to Belgrade that underscored his ally Serbia’s conflicted approach to joining the European Union. 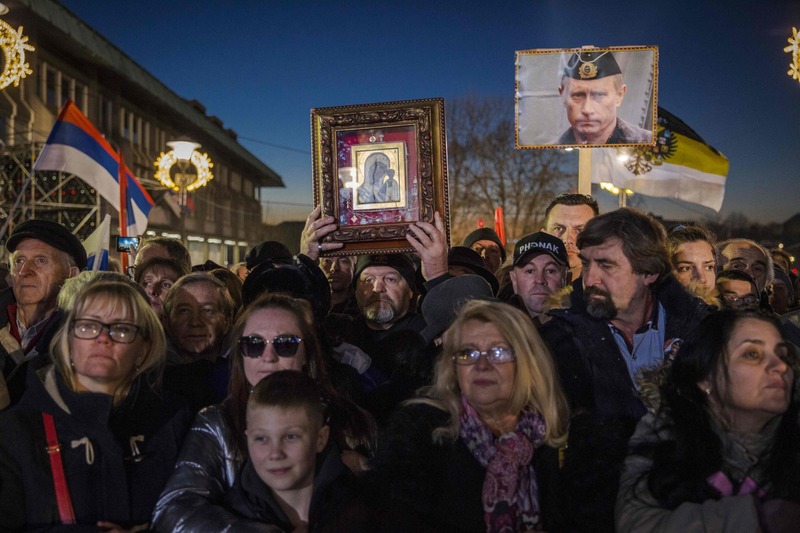 President Aleksandar Vucic’s Serbian Progressive Party, which is itself facing anti-government protests, mobilized thousands of its members in the capital Thursday to show support for the Russian leader. Vucic is looking to leverage Moscow’s backing in striking a deal to normalize ties with Kosovo, one of the biggest hurdles to both countries’ EU membership aspirations. Vucic said he didn’t believe that an agreement with Kosovo was close, and Russia would have to sign off on any deal, sending a signal that he doesn’t accept EU opposition to a proposal for the neighbors to redraw their borders. European leaders fear new demarcations could incite similar demands across the region and trigger the kind of ethnic strife that killed more than 100,000 people during the violent breakup of Yugoslavia. 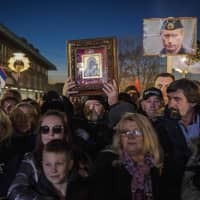 Putin, who has drawn criticism for stoking strife in Ukraine and elsewhere in Eastern Europe, said authorities in Kosovo had made “a series of provocative steps that have seriously aggravated the situation.” In particular, Kosovo’s plans to form an army would violate a United Nations resolution that allows only international forces on its territory, he said. Since taking power as prime minister in 2012, Vucic has performed a balancing act, pledging to join the EU while also maintaining warm ties with Russia. 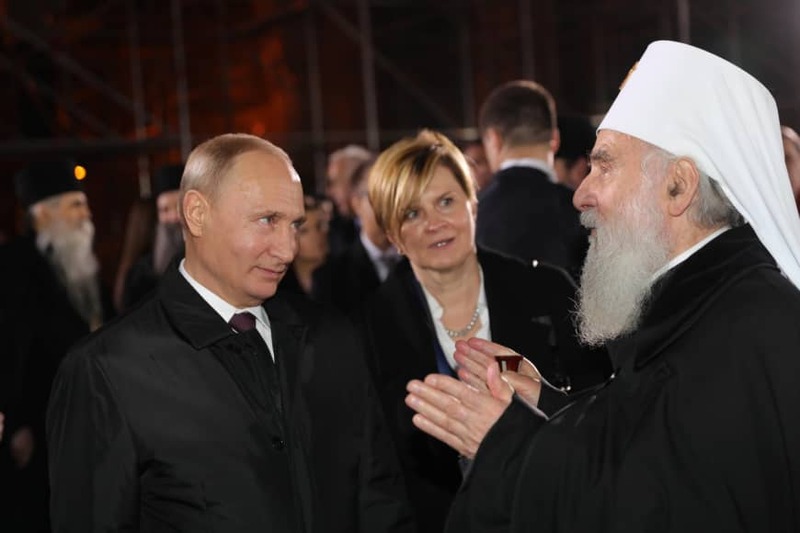 He has met Putin more than a dozen times, and their close relationship is now playing a role with Kosovo, which declared independence a decade after a 1999 NATO bombing campaign drove Serb troops from its territory. Dragging on for years, the dispute with Kosovo appeared to be near a breakthrough after the two sides floated the idea of redrawing their borders. But, met with a chilly response from the EU, Vucic and Kosovo President Hashim Thaci turned to their old allies. Russia has said it wants an accord that’s good for Serbia. U.S. President Donald Trump urged both sides to quickly reach a deal, with neither country rejecting the proposal. Then the talks halted in November when Kosovo imposed a 100 percent tax on its neighbor’s goods in retaliation to Serbia blocking it from gaining membership in Interpol. Serbia refuses to recognize Kosovo as a sovereign state and has blocked membership in the United Nations and other global organizations. It’s supported by Russia, with which it shares cultural ties such as the Orthodox Church, although the EU is by far Serbia’s biggest foreign investor. The visit also coincides with growing unrest against Vucic, who’s facing a second month of protests calling for his government to respect freedom of speech and the rule of law. Following the beating of an opposition politician, thousands of Serbs have taken to the streets in recent weeks in rallies echoing those in eastern European countries including Poland and Hungary where protesters say their governments are backsliding on democracy. Vucic said he wouldn’t bow solely to the EU’s directives, a stance that he says can both include entry in the bloc while also maintaining close ties with Russia.